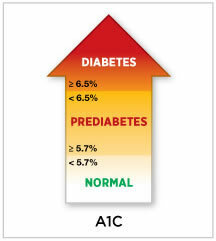 The A1C test measures your average blood glucose for the past 2 to 3 months. The advantages of being diagnosed this way are that you don't have to fast or drink anything. This test checks your fasting blood glucose levels. Fasting means after not having anything to eat or drink (except water) for at least 8 hours before the test. This test is usually done first thing in the morning, before breakfast. 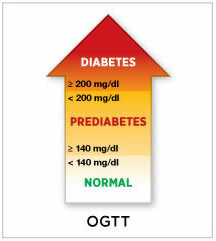 The OGTT is a two-hour test that checks your blood glucose levels before and 2 hours after you drink a special sweet drink. It tells the doctor how your body processes glucose. This test is a blood check at any time of the day when you have severe diabetes symptoms. Before people develop type 2 diabetes, they almost always have "prediabetes" — blood glucose levels that are higher than normal but not yet high enough to be diagnosed as diabetes. There are no clear symptoms of prediabetes, so, you may have it and not know it. Some people with prediabetes may have some of the symptoms of diabetes or even problems from diabetes already. 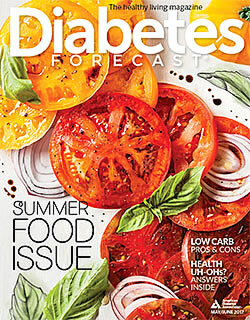 You usually find out that you have prediabetes when being tested for diabetes. If you have prediabetes, you should be checked for type 2 diabetes every one to two years. You will not develop type 2 diabetes automatically if you have prediabetes. For some people with prediabetes, early treatment can actually return blood glucose levels to the normal range. Don't worry if you can't get to your ideal body weight. Losing even 10 to 15 pounds can make a huge difference. This two-page introduction to prediabetes is in PDF format so you can download it, print it, and hand it out to patients. Get tips to stay healthy delivered to your inbox.